One of the things that I like about preseason is that I get to watch all the Bears games, since NFL Network shows re-broadcasts of every preseason game. I don't have any of those fancy satellite TV services, which means I'm stuck with only the regular season games that are broadcast on cable. So I didn't get to watch the Bears week 1 loss to the Houston Texans. I didn't miss much. Offensive ineptitude ruined any chances of Chicago staying in their week 1 match-up against the Texans. My preseason perception of the Bears as being inept on offense was validated by the final score of 23-14. 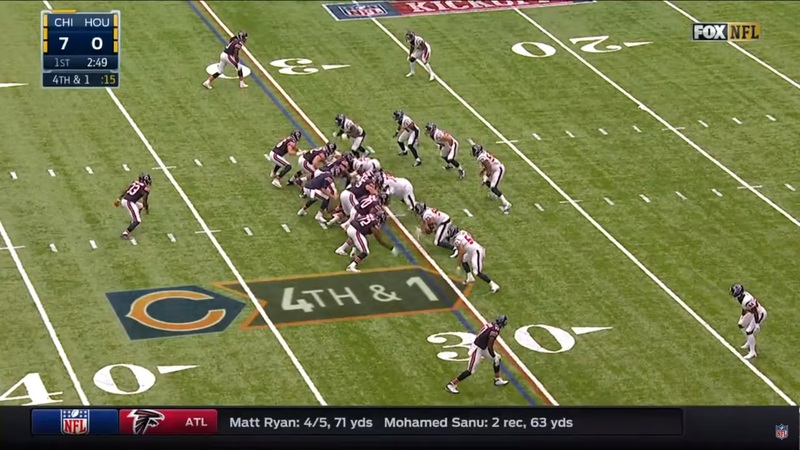 Granted, the Texans are one of the better defenses in the league, but sloppy play has been the Bears M.O. throughout preseason. The defense actually gave the team some opportunities, but offensive mistakes just undid any gains that the Bears made early. Botched snaps, sacks, an interception, and fumbles ended too many drives, and the defense just couldn't hold back the Texans' offense. I did get to watch the Bears' game against the Eagles on Monday night. It looked very similar. The defense played very well throughout much of the game, holding the Eagles to only nine points up through almost the end of the third quarter. Jacoby Glenn and Tracy Porter made some key pass break-ups that ended Eagles drives and gave the Bears offense opportunities to buffer the score. 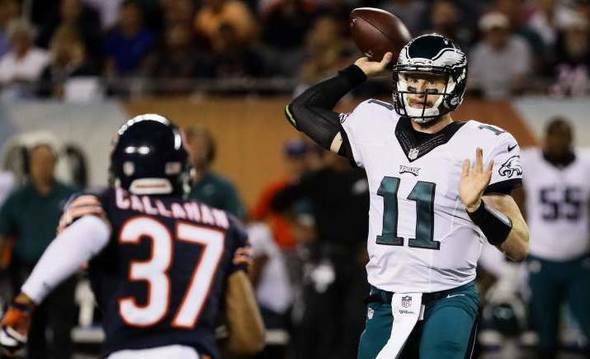 But once again, a fumble and an interception from Jay Cutler gave the Eagles a two-score lead. 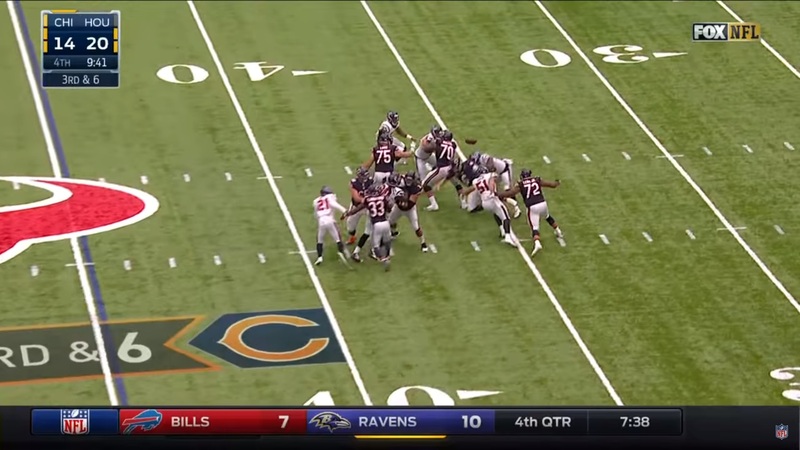 Cutler was under siege right from the start of the game, and the very first play from scrimmage was a sack of Cutler. It also didn't help that Connor Barth missed a field goal early in the game. So much for replacing Robbie Gould in order to save salary cap space. As Jay Gruden pointed out, you get what you pay for. With the offense being as bad as it has been, Gould was likely going to be the team's leading scorer this year. That should have made him a valuable commodity who is worth paying, even though he is "only a kicker". Cutler eventually left the game with a hand injury, only to have other players make costly mistakes. The Bears were driving at the beginning of the fourth quarter with Brian Hoyer under center, until Jeremy Langford gave up the first fumble of his pro career. was too much for it to handle without help from the offense. Stupid NFL rule changes: will kicking off from the 35 have an effect on teams this year? 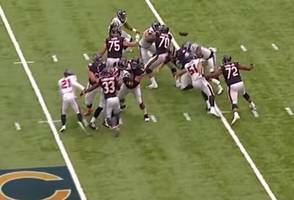 In Thursday's preseason opener against the Buffalo Bills, the Chicago Bears decided to ignore a newly-passed NFL rule change that moved kickoffs from the 30 yard line to the 35 yard line. Special teams coordinator Dave Toub had been given permission from the officiating staff prior to the game, since apparently, the rule is vague enough that it does not completely clarify that the ball has to be kicked off from the new location. However, after kicking from the 30 twice in the game, the league told the Bears, "No, you can't do that anymore." 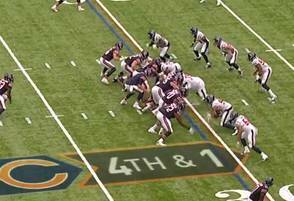 Despite a rule change moving the kickoff to the 35 yard line, the Bears kicked off from the 30 yard line in Thursday's preseason game. The Bears had supposedly elected to kick from the old distance so as to give their special teams unit some live practice at covering kicks. I think this rule change passed by a margin of 26-6 in the off-season. 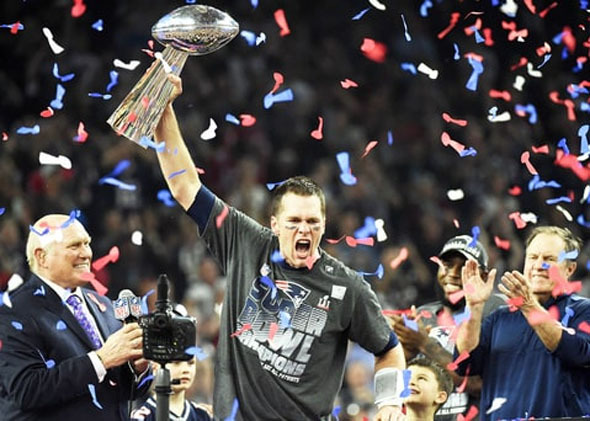 The argument in support of the change is that by moving the kickoffs up five yards, there will be more touchbacks, fewer returns, and therefore fewer injuries. A majority of injuries in NFL games happen on kick return plays - although the exact percentage escapes me at the moment. Although the real reason for this rule change might just be that the other teams in the league are terrified of players like Devin Hester, Josh Cribbs, and DeSean Jackson.